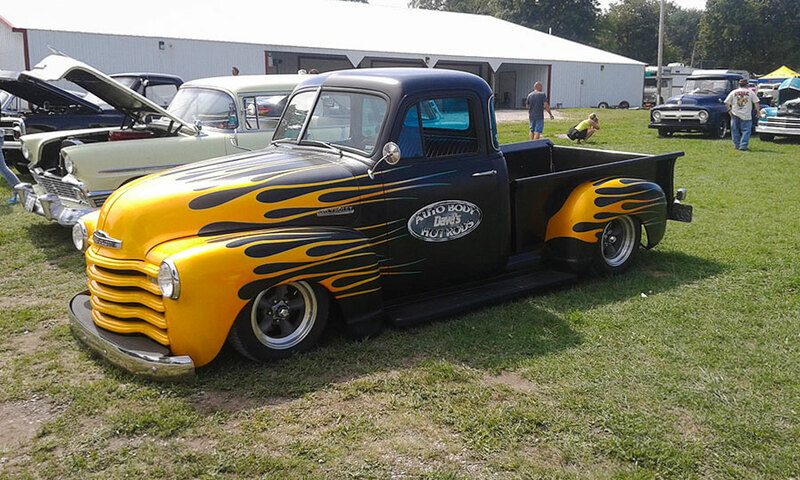 Earlier this fall we had the opportunity to attend the 2016 Greaserama. 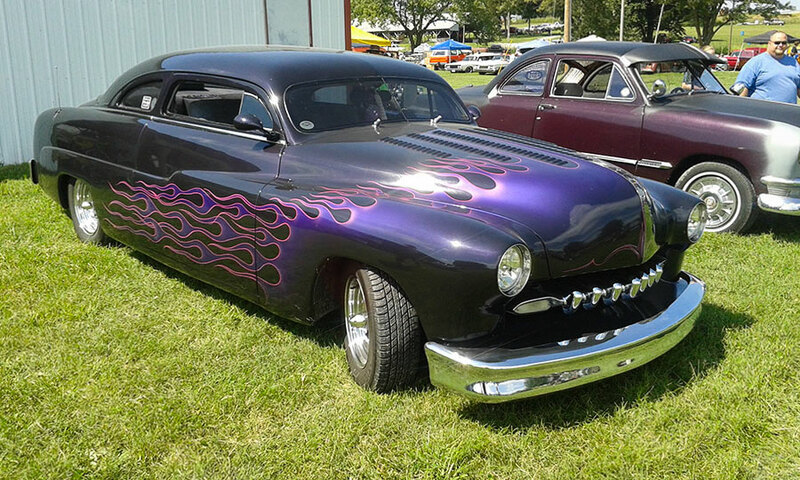 If you ever want to take in an awesome Rockabilly, Pin Up traditional car show, make the trip to Platte City, Missouri Labor Day weekend and check out Greaserama. 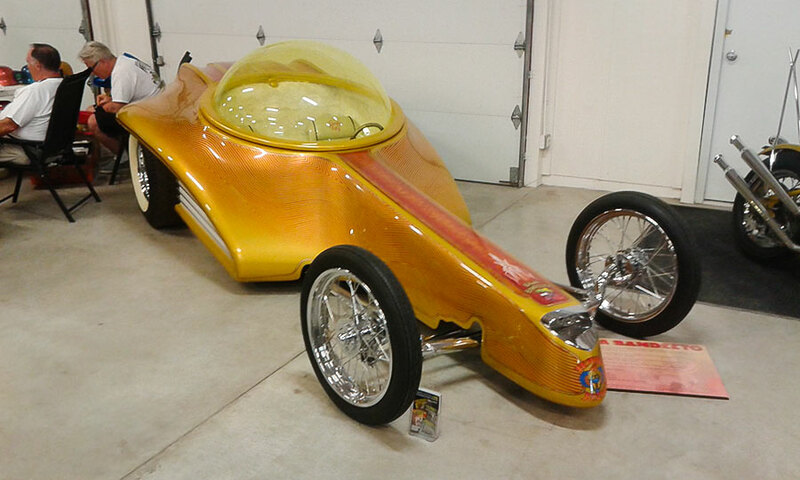 Billed as The Midwest’s Original Punk Rock Car Show, they totally live up to the billing. The show is put on by Los Punk Rods Car Club, they do a top notch job, of putting on a great show, lots of great food, and entertainment. The Band line up was the Cream of the Crop, great bands rocked all day long Saturday starting at 1:00 with the likes of Thunderosa, Go Generation, Red Kate, Drop A Grand, Labretta Suede and the Motel 6, Loot Rock Gang, Boot Hill, Hellbound Hayride, and Three Bad Jacks. Then the bands continued again all afternoon Sunday with The Bad Ideas, Hellbound Hayride, and Three Bad Jacks, closed out the show after the awards presentation. 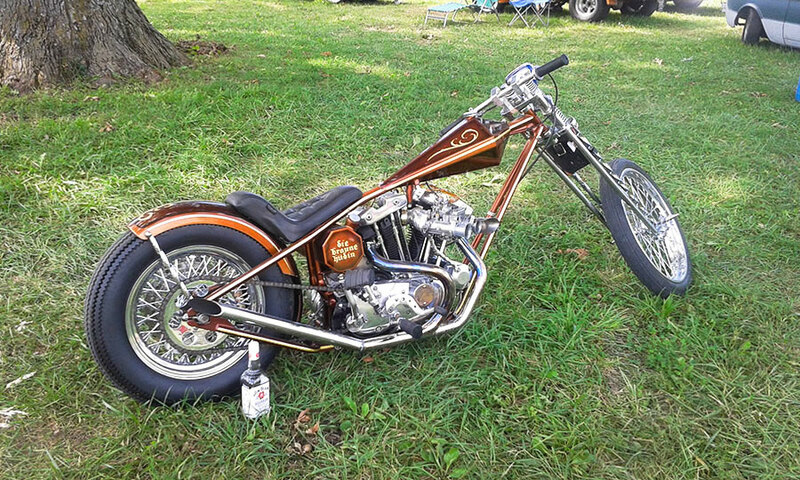 The show was open to pre-64 cars and bikes, and pre- 72 trucks, if you want to see a world of raw Hot Rods, and not billet, high-end Street Rods, this is the show for you. 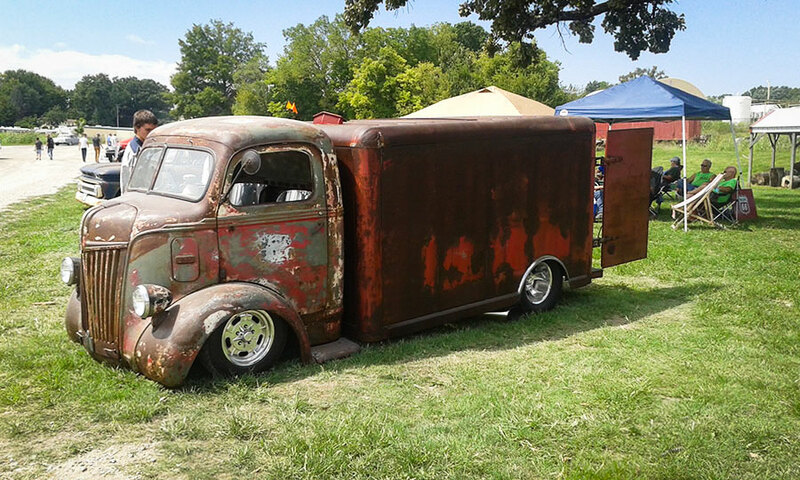 This 1942 Ford COE Box Truck had quite a surprise hiding out in the back of the cargo box. 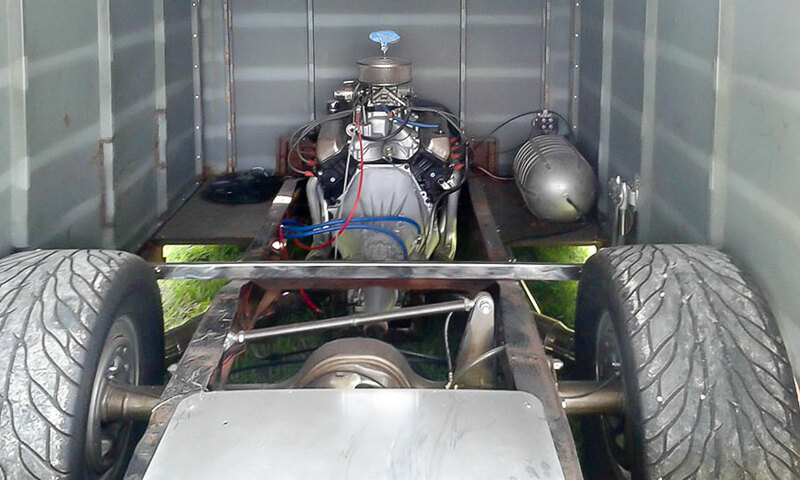 Opening the rear doors revealed a Built Ford V8, automatic transmission, with some big, wide Mickeys, and a 9” Ford rear end suspended by a full air ride system. 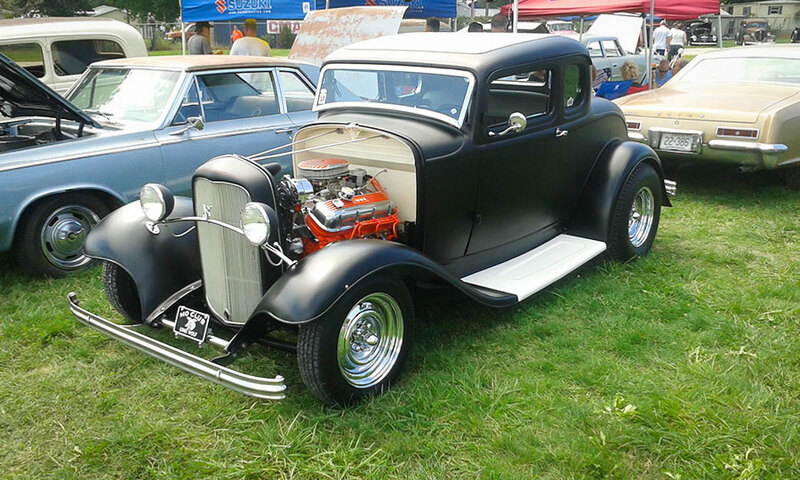 What’s not to Love about a flat black full fendered Duece 5 – Window Coupe, with a killer stance, chrome smoothie wheels, and a 396 Chevy big block Mill sitting between the fenders. 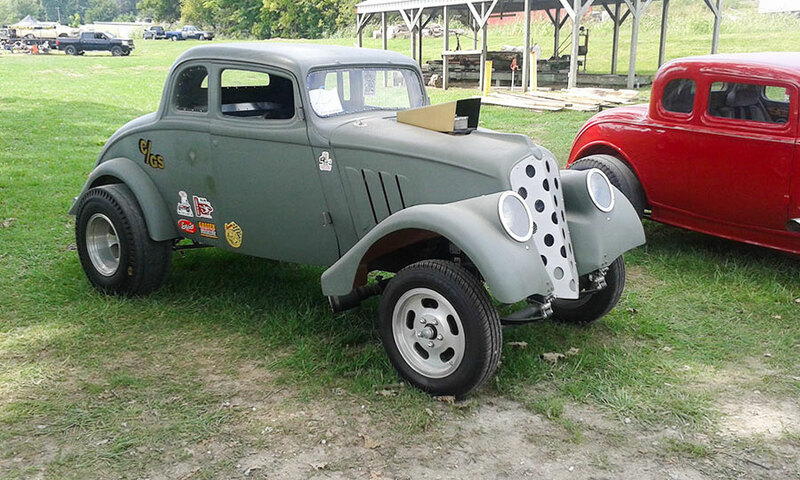 This old school 1933 Willys C/GS Gasser can almost take you back to the glory days of drag racing at the Old Lyons Drag Strip. 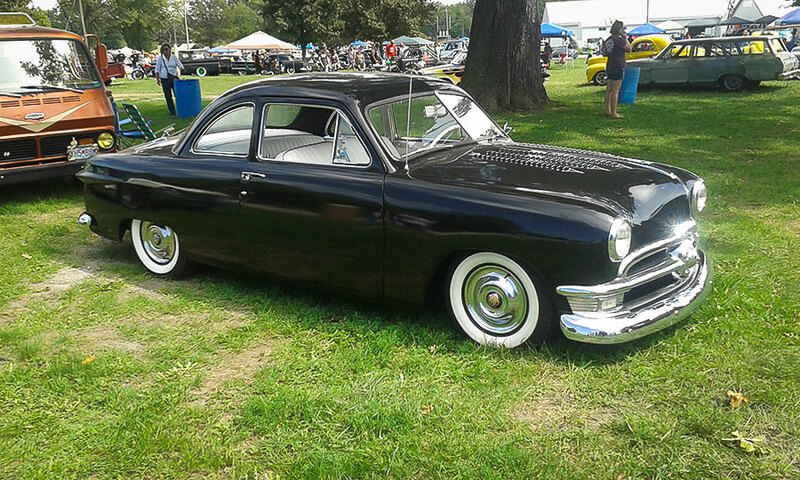 This 1949 Ford Mild custom was magnificent, the unchopped top and white tuck and roll Interior with black piping would have Debbie from American Graffiti yelling “Peel Out” all day long. 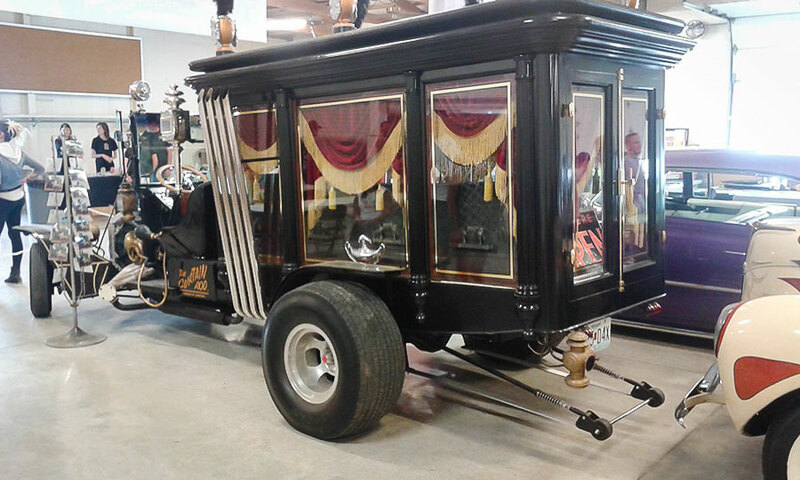 Even a 60’s style Bubble Top custom show car, and an awesome 1800’s style custom hearse with some tall, insane Zoomies sticking up sky high in the air could be found in the indoor display area. 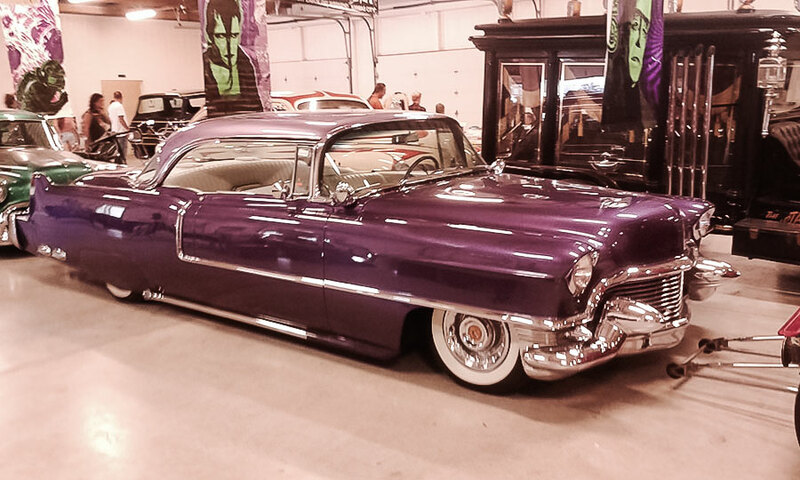 Old Caddy’s were abundant at Greaserama, everything from primered road warriors all the way to full show quality customs were a sight to behold. 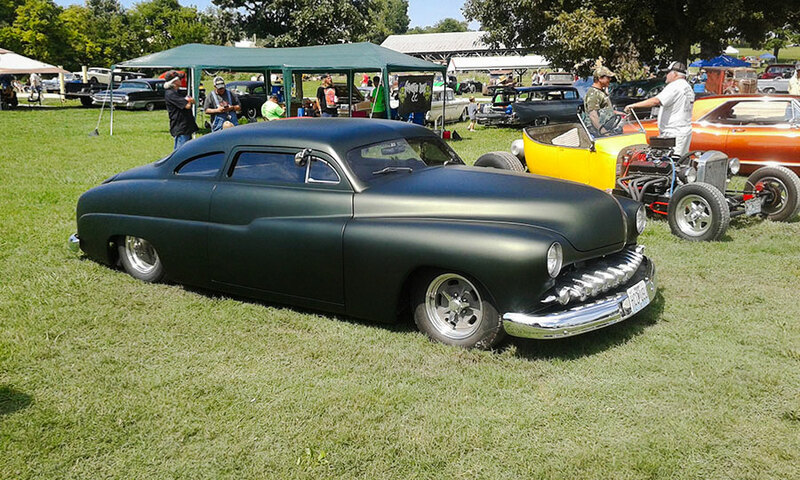 Spending the weekend at Greaserama in Platte City, Missouri checking out these cool Merc Lead Sleds and all the other great cars, trucks, and bikes is a great place to have an awesome time with friends and family. This is definitely a show you don’t want to miss next year.